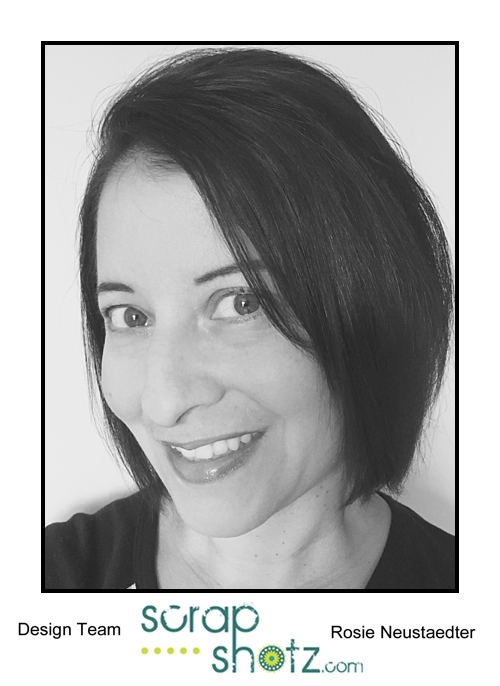 Rosie here to share my first round of projects for 2019. I stamped, die cut and Copic coloured these images, also adding some highlights with a white gel pen. 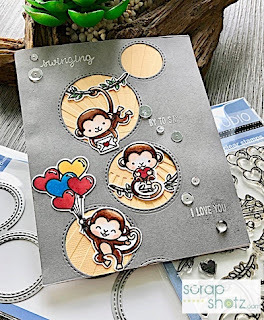 I then die cut a 4 1/4" x 5 1/2" grey card front with the Staggered Circles die, stamped the sentiments in Lawn Fawn Yeti ink and heat embossed with clear embossing powder. The sunshine-y background is yellow card stock embossed with the Sunny Studio Sunburst Embossing Folder. This next card also uses the Sunburst embossing folder, I inked the folder with Distress Oxide Mustard Seed added white card stock and ran it through my Big Shot. 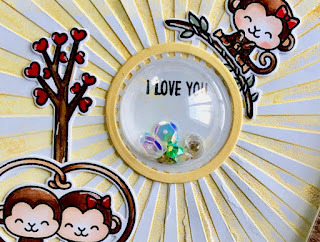 The centre "sun" is the perfect spot for a shaker and the best place for the sentiment so I stamped the sentiment in Memento black ink. 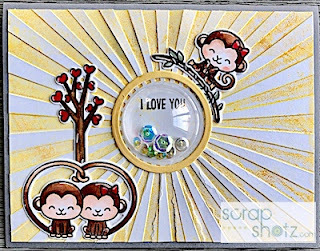 The Sizzix Dimensional Dome houses the sequins and the cute Copic colored Love Monkey's accent the sunburst card front. 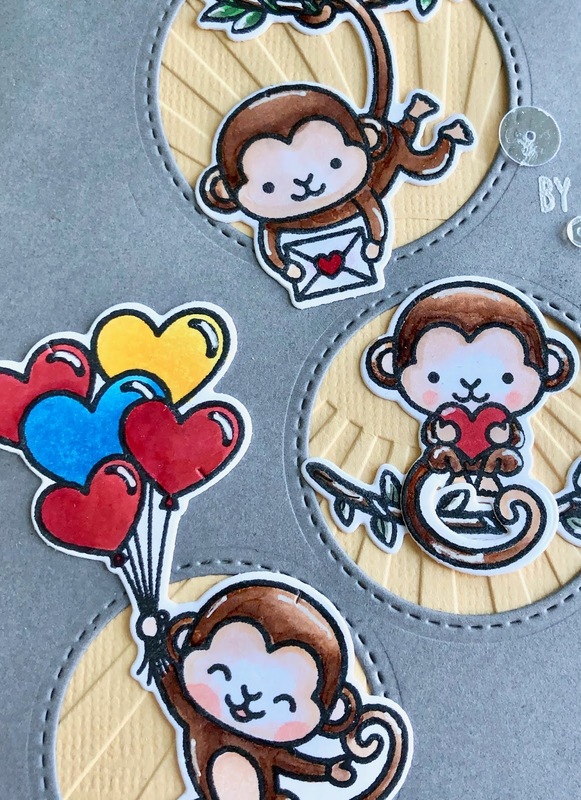 Thanks so very much for stopping by and taking a look!